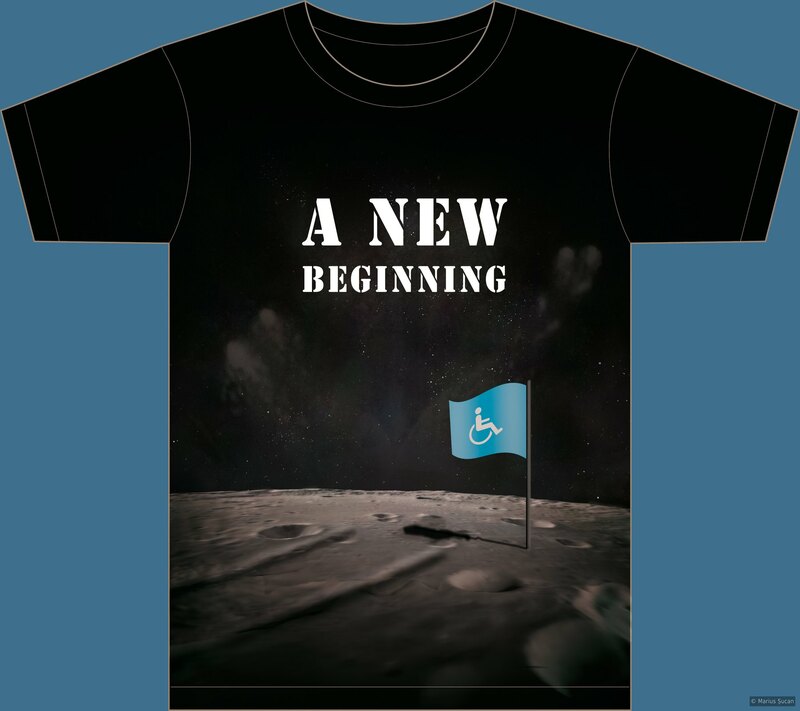 This t-shirt design presents a possible future when disabled people will be able to go to the Moon. It can also be interpreted as a satire or a sarcastic representation of the Apollo 11 mission from 1969 when people first landed on the Moon. Tags: 2013, 2d, dark, design, disability, future, moon, positive, t-shirts, technology, wheelchair.